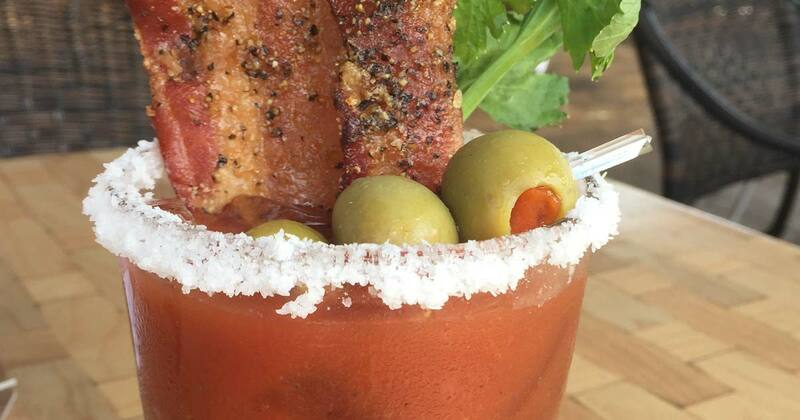 Honey Pepper Bacon™ was born in a Tulsa kitchen in 1992 and imported to TwoRows Classic Grill in Allen, TX in the mid-90s. The savory aroma of pork, the joy of natural sweetness, and a mild kick in the palate make Honey Pepper Bacon™ a flavorful addition to burgers, pizza, and salad. Come check out what it’s all about. You will never look at a pig the same way! I loved the food (that honey pepper bacon, OMGGG), the service, and the atmosphere! Very affordable… We’ll definitely be back to visit; traveling from Arkansas!!! The food and service were both phenomenal. We got the B’s Macaroni with the honey bacon in it. It was heaven in your mouth. 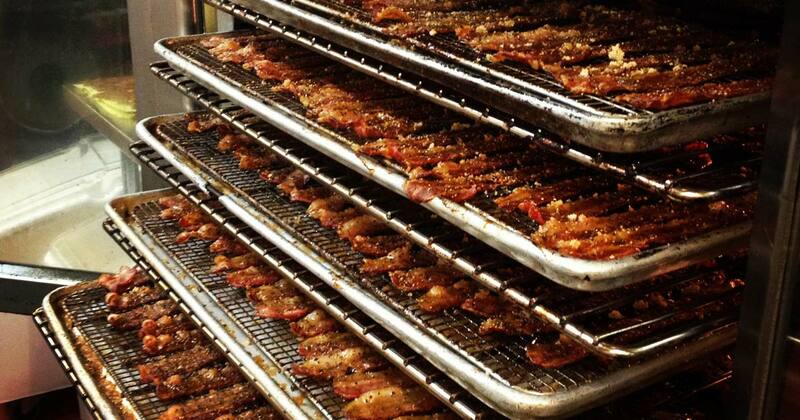 Simply the best bacon in the world. Also… The hog wild ice cream… It has the same bacon in the ice cream and was to die for. Good father’s day brunch. Staff is friendly and helpful. The honey pepper bacon is really good. Bacon. No seriously. 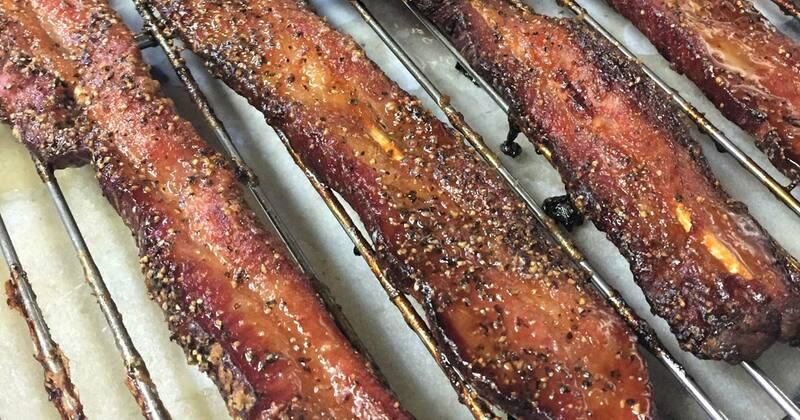 Honey Peppered Bacon! Beer battered Fried Cheese Logs! I am pretty sure I could just live off of the appetizer menu. Yum! Honey Pepper Bacon	Overall rating:	4.7	out of 5 based on 338	reviews.